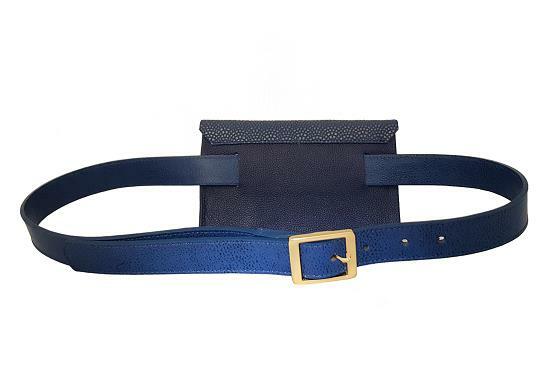 VALENTINA TERRA'S BELT BAG is a statement of fine soft leather and elegant design that has been expertly constructed. This creation has been handcrafted with passion, care and attention to detail. Finishing touches include hand-painted edges and gold plated hardware. - Adjustable belt closure Dimensions: 18,5cm (Width) x 12cm (Height) x 3cm(Depth) All measurements are approximate and can vary slightly as each bag is handmade from a natural material. 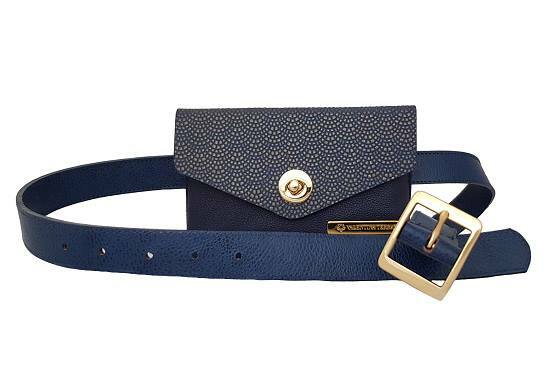 VALENTINA TERRA’S BELT BAG is a statement of fine soft leather and elegant design that has been expertly constructed. This creation has been handcrafted with passion, care and attention to detail. Finishing touches include hand-painted edges and gold plated hardware.